Discover this superb Cuvée de Prestige, with a superb vintage : the 2006. This cuvée distinguishes itself through its intensity and elegant flavours. A salmon pink tint provides a very seductive visual ensemble. Its extreme delicacy and pleasant vinosity allow this cuvée to be served with the finest dishes and red fruit desserts. 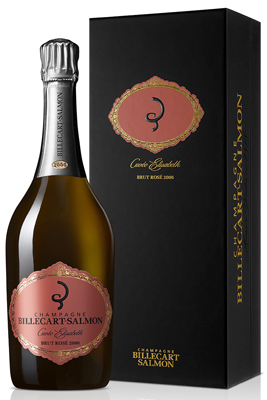 Cuvée Elisabeth Salmon 2006 can be kept in the cellar for 10 to 15 more years.